I was documenting medical history from a newly diagnosed HIV-positive patient, accompanied by his very caring wife, when they told me how much they loved to dance every weekend before they got ill. The couple returned after a fortnight, but to my astonishment their medical file bore an older clinical number and was considerably heavier in content. Although it had the same last name, the clinical number was about 4 years old. I tried to refresh my memory in the pursuit of filling in the gaps however, I was sure that the wife had told me that her husband was recently diagnosed with HIV and that's when she had opted for the HIV test and found it to be positive as well. 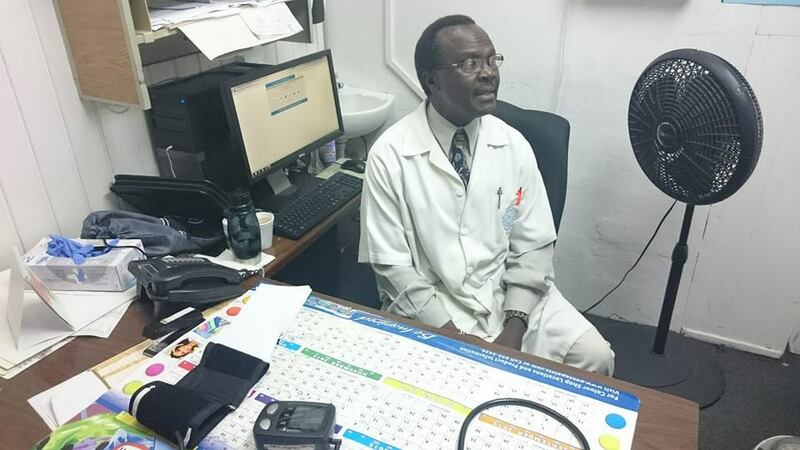 Port of Spain, Trinidad and Tobago: I was documenting medical history from a newly diagnosed HIV-positive patient, accompanied by his very caring wife, when they told me how much they loved to dance every weekend before they got ill. The couple returned after a fortnight, but to my astonishment their medical file bore an older clinical number and was considerably heavier in content. Although it had the same last name, the clinical number was about 4 years old. I tried to refresh my memory in the pursuit of filling in the gaps however, I was sure that the wife had told me that her husband was recently diagnosed with HIV and thats when she had opted for the HIV test and found it to be positive as well. Bound by doctor-patient confidentiality, I was puzzled but didnt have the courage to ask the vexing question in the presence of the wife. It was at that moment that the wife left my office to use the toilet. I jumped at the opportunity and asked the husband, to which he admitted that he had never told his wife that inconvenient truth. I saw the couple again after a while; this time the husbands health had deteriorated and I referred him for hospitalization. I kept monitoring his health by speaking to them on the phone till he was discharged from the hospital. A few months later the wife came for a clinical checkup. Her husband had died. She had found out that he kept the truth from her. On my inquiry, she told me, "I read the referral letter you wrote to the hospital." A severely ill woman came to the clinic accompanied by a caring man. She refused to be medically investigated in the presence of her partner. Her fear  he would leave her if he found out she was HIV-positive. Eventually he, too, was diagnosed with HIV. She started the medication for HIV but in vain; her blood continued showing high levels of the virus. She remained adamant that she was taking medication and did not want to die like her friend who had not followed medical intervention. I continued monitoring her condition; in due course she laid the blame on the nursing staff who made her miss her doses during hospitalization. During the monitoring, a laboratory test and previous clinical notes indicated that she had not taken the medication consistently. I questioned her and at that point she broke down, "Doc, you know I have so many problems and sometimes I do not take my medications." The stories of these 2 patients clearly demonstrate that a doctors compassion and his simply being there to listen offers solace  UN Volunteers staying true to their vision we are inspiration in action!